Airline mysteries are always intriguing although when people die they are no fun at all – like the two Malaysian Airline 777 disasters in 2014. Of course we know who shot down MH17 over Ukraine and although it’s unlikely Putin is going to confess anytime soon that it was indeed Russian idiocy it’s inevitable that one day some drunken Russian military hot finger will talk too loudly. Or he’ll cheat on his wife and she’ll shop him in. On the other hand MH370 which disappeared over the Indian Ocean remains an enduring mystery. A story in The Economist – and other media – today reported that a ‘fantastical ship’ the Seabed Constructor is about to set off on a new search for the wreckage of the aircraft. ▲ ‘Hey, wait a minute, I saw that ship from a restaurant in Çanakkale, Turkey, as it passed through the Dardanelles towards Istanbul,’ I thought when I read the story. 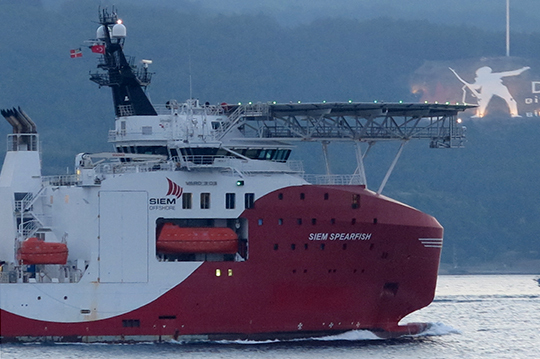 In fact I hadn’t, I’d seen the Siem Spearfish, not the Seabed Constructor, but at first glance they looked remarkably alike. A much less disastrous and highly amusing, airline incident took place on 1 January on a Jet Airways 777 flight from London to Mumbai. Soon after takeoff the male co-pilot slapped the female captain and she exited the flight deck in tears. The cabin staff tried to persuade her to go back to that important left hand seat, but she refused to go until the co-pilot also left the controls and came back into the cabin! Later in the flight the dispute – whatever it was about – flared up a second time and again the captain abandoned the flight deck, fortunately only temporarily. Clearly 1 January was not a good time to fly places, a Ryanair flight from London Stansted to Malaga in Spain arrived at the gate and then sat there. After half an hour with no explanation from the Ryanair crew one passenger decided he’d had enough, opened an emergency exit and climbed out to sit on the wing. 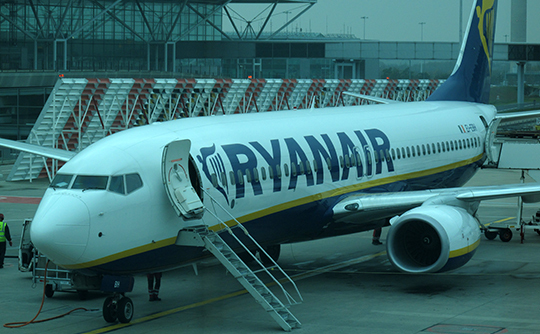 Presumably he won’t be welcome on Ryanair flights in the future although reports on the story all came round to one simple thought: why don’t flight crew simply explain what’s going on? The door is stuck, the airbridge won’t work, the ground crew are asleep, just some simple explanation would help. ANA flight NH 175 from Los Angeles LAX to Tokyo Narita NRT on 26 December was more problematic, but again there was really no explanation from the airline. Four hours out of LAX on the 11 hour flight the aircraft turned around and returned because an extra passenger was discovered on board. I was sufficiently intrigued that I started a thread on pprune.org – the professional pilots rumour network. My understanding – from reading everybody else’s theories and what facts are available – is that there were two LAX-NRT flights – a United 787 and the ANA 777 – both departing at 1045 am LA time and there were two brothers, one on each flight. They went through security and then both of them managed to board the ANA flight, perhaps by printing out two boarding passes? OK it was a security and a boarding failure, but why then turn the flight around? It must have cost ANA a packet, it clearly inconvenienced lots of people (the flight eventually left LAX at 322 am the next morning, so nearly 17 hours behind schedule) and at the end of the day both passengers were ticketed to the same destination. Why not simply take both of them to Tokyo? The pprune head scratchers suggested that if it was a checked bag question then the other flight, the United one, might have had the bag, but not the passenger, so that should have been the one that turned back? In Tokyo who cares that there’s one extra passenger, nobody counts you off the flight?